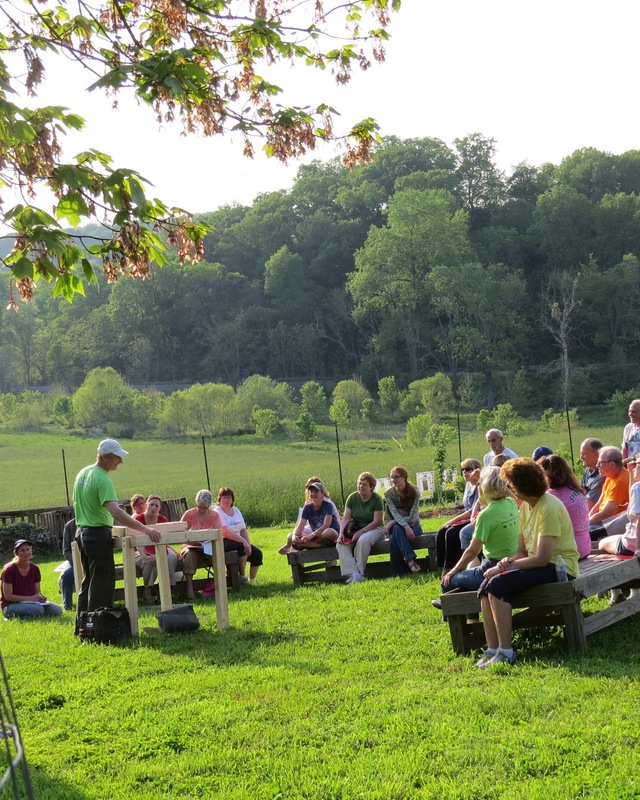 Monday May 20th saw yet another successful Twilight Garden meeting at the Carroll County Public Demonstration Garden. 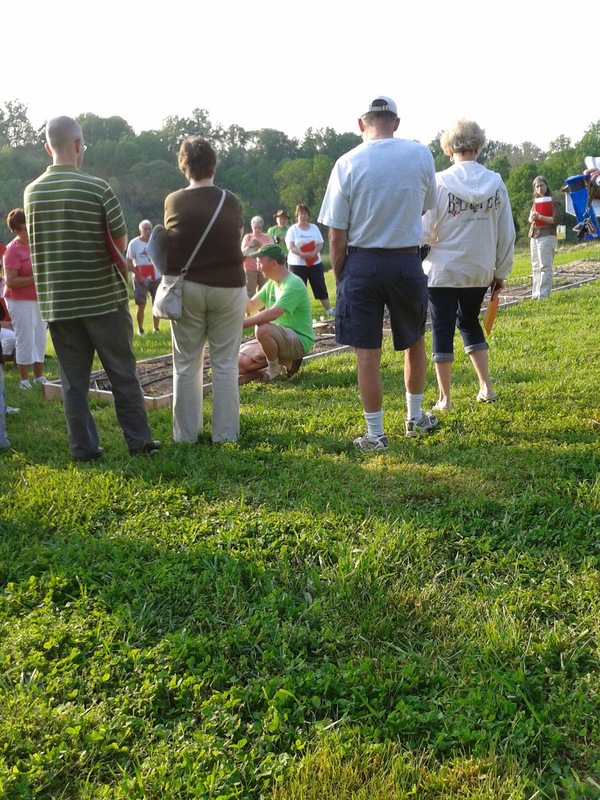 Nearly 40 folks showed up last night to learn about Salad Table construction, Salad Table soil media, best Salad Greens for a table, watering, fertilizing and harvesting. 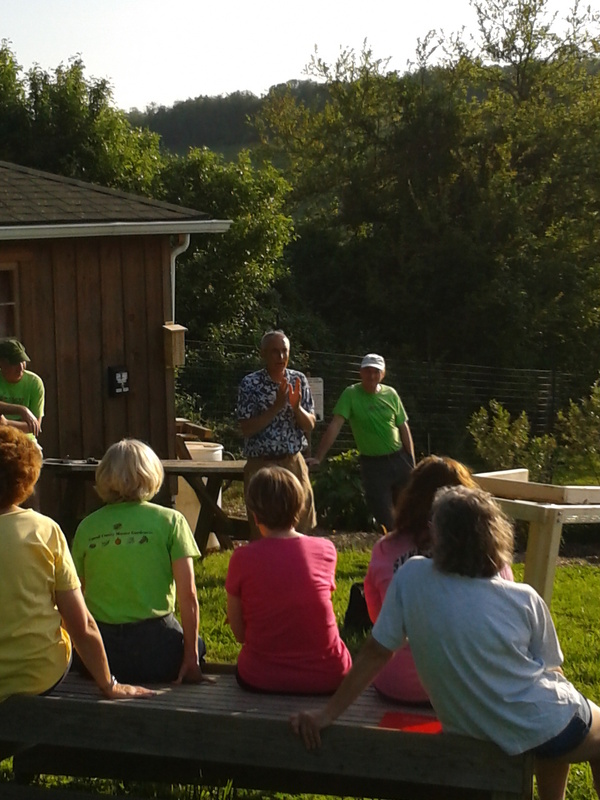 Additionally, the people were led on a tour of the many raised vegetable and edible perennial raised beds to learn about best practice food gardening. The Carroll Grow It Eat It Team began this new public outreach program last month with the topic of Pruning. 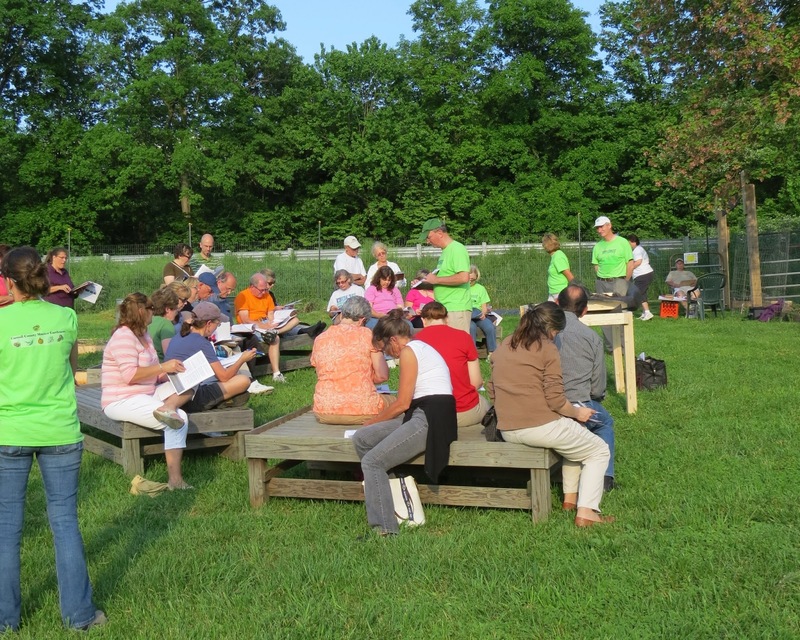 Twilight meetings are scheduled monthly on the third Monday of the Month with four more topics remaining for 2013. Composting is slated for June. July will see a discussion on pollinators and herbs. August will focus on cover crops with a season ending September meeting focused on “Putting the Garden to Bed & productive garden maintenance. construction discussion with class participants. These meetings place a capstone on a very successful public outreach for 2013. The Grow It Eat It team has already concluded their class room meetings delivering 16 topics over eight weekly meetings. Class interest and attendance was outstanding with results averaging nearly 60 people per meeting. “A great team can do great things and the Carroll team is a wonderful group of Master Gardeners who have fun, focus on best practice food growing and who possess real dedication”, said Butch Willard, Co-Coordinator of the team. Butch Willard told of Salad Table success stories and University of Md best practices. What is the best “Salad Table soil media” available locally? Any lightweight soilless growing mix would be good to use alone or mixed 50:50 with a high quality, screened yard waste compost. Ingredients of soilless growing media include sphagnum peat moss, vermiculite, perlite, coir, compost. The mix should have large pore spaces (not be dense and heavy). So if I was to use just a bag of sphagnum peat moss that would work or do I need to mix all the items you listed above? I use 50/50 mix of potting soil and compost (like LeafGro). You can make your own potting soil using peat moss, perlite & vermiculite (50%, 40%, 10%). You might also consider ProMix for the potting soil. I would not use pure Peat Moss. I use 50/50 mix of potting soil and compost (like LeafGro). You can make your own potting soil using peat moss, perlite & vermiculite (50%, 40%, 10%). You might also consider ProMix for the potting soil.